"Ohio's Largest Discount Building Materials Warehouse" MEDINA: 546 Medina Road Medina, Ohio 44256 (330) 253-1013 MASSILLON: 132 Walnut Rd. SW Massillon, Ohio 44646 (330) 830-8389 Visit us online at www.building9.biz (Email: info@building9.biz) Payments accepted in-store: Cash, Check, Visa, M/C, Discover (with matching I.D.) Building 9 started in business in 1983 as South Main Supply, in a large 60,000 square foot, industrial warehouse near downtown Akron, Ohio. We were a retail supplier of surplus and salvage building materials; mostly exterior products such as plywood, siding, roofing, doors, and windows. In 1998 we opened our second large warehouse in Massillon, Ohio. With a focus on stocking large inventories. Building 9 is a multi-truck load direct buyer and offers quality close-out materials. We have a great selection of Contractors' Choice and Schrock brand cabinets by Masterbrand, as well as Silver Line windows by Andersen. Due to an ODOT highway construction project in 2015, we had to relocate our Akron, OH store location and decided to build a new 42,000 square warehouse and showroom at 546 Medina Road on Route 18 in Medina, Ohio. Conveniently located between Interstate 71 and Interstate 77. Open Aug. 24, 2015 Building 9 is open to the public and welcomes homeowners, remodeling contractors, real estate investors, churches, and local businesses to stop in and see our selections. Our core products consist of kitchen and bath cabinets, new construction and replacement windows, doors, moldings and a wide range of flooring products consisting of laminates, ceramic tile, vinyl flooring, and "flying" carpet squares. Our closeouts and special Liquidation programs consist of various building supply materials where we make very special, one-time purchases of manufacturers, overruns, line changes, canceled orders, factory changes or discontinued items. These deals offer an even GREATER BARGAIN and TREMENDOUS VALUE when compared to any other retailer. 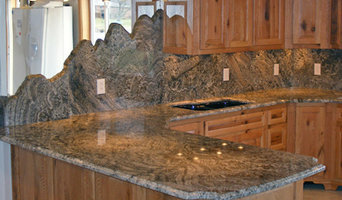 Korkan Granite offers exceptional quality and service with a personal touch. We are committed to the idea that every one of our customers deserves the highest quality fabrication/installation combined with the highest standards of customer service, regardless of the size of the project. We are able to do that by: - Controlling the countertop experience from start to finish. We never use sub-contractors to fabricate or install our products. - Keeping track of all job details. We stay organized so details won’t fall through the cracks. - Hiring quality employees. Korkan Granite is like a big family – and like a family, we care about each other and, most importantly, about our customers. 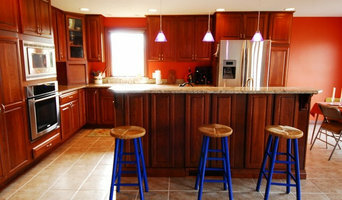 - We provide Same Day service on those jobs where we remove an existing countertop. We ensure your family is not without a kitchen. - Stocking a variety of remnants for smaller projects, which helps keeps costs down for projects like vanity tops, shelves or fireplace hearths. CCS has been proudly serving the Northeast Ohio area for over 90 years. 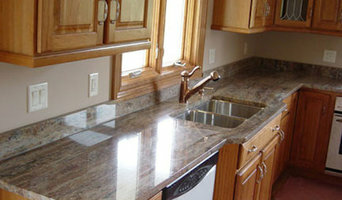 Builders, designers and homeowners have come to depend on Canton Cut Stone to fill their marble and granite needs. In addition to marble and granite we are also an authorized dealer for DuPont Zodiac solid surfaces. Canton Cut Stone prides themselves on outstanding quality and customer service through dedication, hard work and listening to our customers needs. 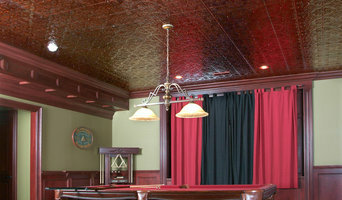 We manufacture embossed tin ceiling tiles, backsplash tiles and accessories. First on America’s homes, Alside has been an innovative manufacturer of high-performance custom vinyl windows and siding since 1947. Northeast Ohio's Largest Selection and Inventory of Brick, Stone and Masonry Materials. FrogTape® is not just an ordinary tape. FrogTape® is the only pro painter’s tape treated with PaintBlock® Technology. PaintBlock® reacts instantly with latex paint to form a micro-barrier that seals the edges of the tape and makes it more resistant to paint bleeding. American Natural Stone & Supply specializes in all types of masonry, manufactured and landscape stone. Our fabrication capabilities include; steps, platforms/landings, window sills/wraps, pool/deck coping, quoins, custom bullnose, pyramiding, tapering, radius cutting, baluster hand rail systems, ball finials, granite, and sign engraving. We stock over 100 types of natural stone for landscaping, hardscaping, veneer work and more. We are the largest Pavestone authorized distributor in Ohio and we keep large quantities of pavers and retaining walls in stock at all times. We also carry a complete line of manufactured stone veneer. 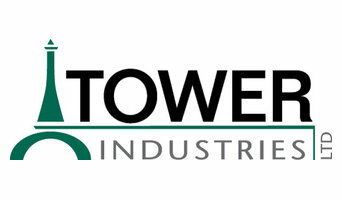 We are Ohio's premier distributor of quality building stone products, and have been since 1976. Installation of countertops. Stone garden marble and granite. Working with Builders and Home Owners to create kitchens and bathrooms that exceed our client's expectations! We are proud to serve builders and homeowners since 1958. Mason Steels are Cleveland's most trusted outdoor living professionals specializing in outdoor living and building products. Our experienced staff and dedication will help to bring your project to life and create the back yard of your dreams. We can design and install the project to best suit your style, needs and budget. Our 3,000 sq ft showroom has on display over 100 different selections of Cultured Stone® and Natural Stone, both on wall displays and surrounding live fireplaces. Over 30 Fireplaces, Inserts and Stoves in both traditional and contemporary settings. Many of these are actual burning units. Our Outdoor Living Displays highlight some of the wonderful things you can do in your backyard: Pavers, Outdoor Fireplaces, Firepits, Bar-B-Que Grills and so much more. Find lumber and building supplies on Houzz. Narrow your search for Parma Heights, OH lumber supplies and building supplies by selecting the nearest city or zip code. Find trusted lumber companies and hardware suppliers with reviews from residential builders, interior designers and homeowners.